Born in Alabama and raised in San Antonio, TX, David Bancroft’s passion for food began at an early age. Bancroft was heavily influenced by his grandparent’s cooking & farming practices, particularly drawing knowledge and inspiration from his grandfather who farmed cattle, catfish, cotton and peanuts in South Alabama. 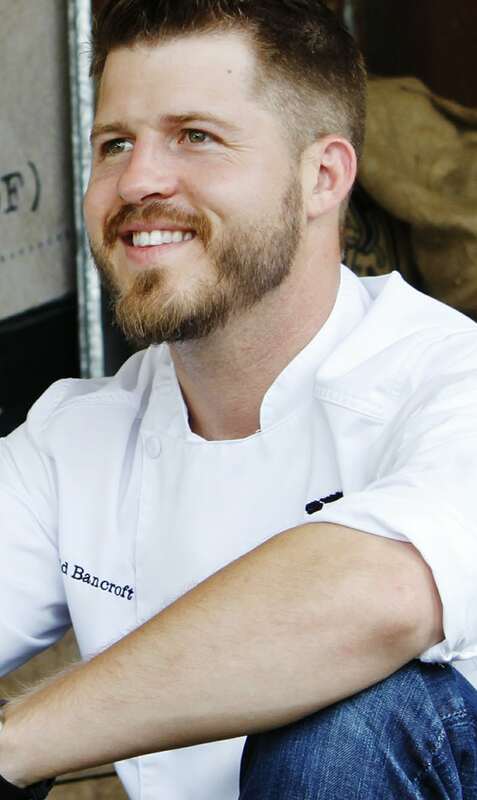 Bancroft grew up eating some of the best cuisine the South has to offer and parlayed his love of food & farming into a passion for cooking, inspired by his family’s approach to home-style dining. Bancroft spent time on the Alabama family farm hunting and fishing with his grandfather and learning how to smoke brisket and barbeque in South Texas, while developing a deep appreciation and care for the meat and its procurement process. After finishing high school, Bancroft returned to his Alabama roots to attend Auburn University, where Bancroft served as the kitchen steward for his fraternity and later went on to serve as the head chef at Amsterdam Café in Auburn during his senior year. Under Bancroft’s lead, Amsterdam Café established farm-to-table dining in East Alabama, earning recognition as one of the top ten restaurants in the state. It was here that Bancroft honed his culinary craft & sustainable cooking approach and began developing a name for himself. Feeling confident in his experiences and looking for a way to utilize his self-taught skills as a farmer, forager and chef, Bancroft opened Acre restaurant with his wife, Christin in August 2013. Situated on a full acre of land, Acre reinterprets the rich heritage of Alabama cuisine. The seasonally-influenced menu focuses on celebrating sustainable ingredients, highlighting an abundance of herbs, fruits and vegetables, along with poultry, meat and seafood. Acre is wrapped in edible landscape including three on-site gardens and fruit orchards designed to provide fresh, seasonal harvest to create delicious offerings, supplemented by ingredients received from friends and family in the local community. A 2016, 2017 and 2018 semifinalist for the James Beard Foundation’s “Best Chef: South” award and winner of Food Network’s “Iron Chef Showdown” competition in 2017, Bancroft opened his second restaurant concept in Auburn, Bow & Arrow. Opened in November 2018, Bow & Arrow is Bancroft’s interpretation of a South Texas smokehouse juxtaposed with the communal and casual dining approach of an Alabama potluck. Paying homage to his influences growing up in South Texas, Bow & Arrow serves up an assortment of smoked meats cooked over a custom built live-fire Kudu grill and a selection of southern sides, including tater tot casserole, collard greens, and cream corn. When Bancroft isn’t focusing on his culinary ventures, he enjoys spending time with his wife and two children, as well as hunting and fishing on his family’s farm in Lower Alabama.